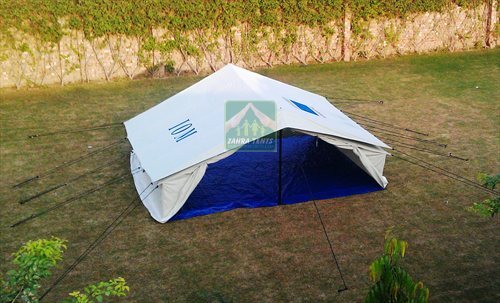 Material Outer fly: Single fold of 560 G/m2 Water proof & root Proof cotton canvas. Inner fly:Single fold of 560 G/m2 Water proof & root Proof cotton canvas . Accessories All accessories and tools for ready use , iron poles, irons pigs, ground pins, iron hammer and repairing kit.